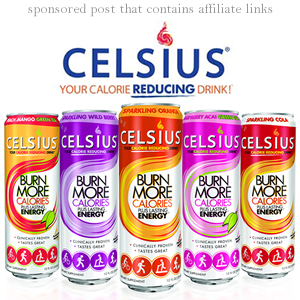 Share the post "Celsius Ideal for Those Days Where One Feels Sluggish"
Celsius an energy drink and diet aid drink. It is a great partner to healthy eating and exercise, especially if you are looking to lose weight. It is ideal for those who need a boost of energy when feeling too sluggish to do a serious workout that burns calories, whether in the gym or outdoors. With 200mg of caffeine per can you can call Celsius liquid energy. What I particularly like about it over other sports and diet drinks is that it has no sugar, aspartame or high fructose corn syrup, and is loaded with vitamins and minerals known for energy and weight loss while supporting your immune system. Each 12 FL OZ(355ml) can, which is considered one serving, only has 10 calories. I personally find Celsius ideal for those days where one feels too exhausted to go to the gym, or to get outdoors to exercise. A US product, with headquarters in Florida, Celsius is sold on Amazon and in various major grocery stores. If considering purchasing the item in a grocery chain stores I found that it often isn’t stocked with the energy drinks but found on the diet aid aisle. Make sure to check both aisles at the local grocery store before getting frustrated not being able to find it.